Av Santander 10, 39180 Noja, Spanje. 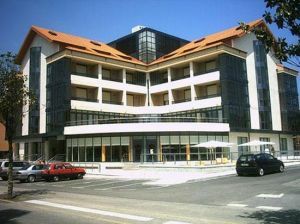 Hotel Viadero is a functional hotel in the Noja centre. This four stars hotel is located in the heart of Noja, a place in front of the sea Cantábrico between the marsh of Joyel and of Victoria. 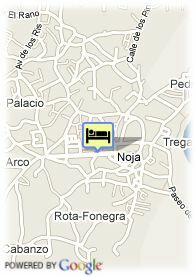 All the rooms of the hotel Viadero are outer and equipped with terraces or galeries, which give them a lot of light. Its six lounges, distributed on different floors, have the capacity to accommodate 300 people and are ready to hold any kind of event, from weddings or business dinners to conventions, congresses and exhibitions. It is an idylic hotel for the people not only interested in pleasure trip but also for those in business trip.